What do they say in Europe today? They say, “You can’t have your cake and eat it too.” But is that true? When you purchase a home in Spain, you can enjoy “free holidays” while your cash is protected in brick and mortar, earning you rental year round or via capital appreciation. Here are some other ways that you could be earning passive income from your Spanish home while you enjoy it. You’ll pay at least 18 per cent lower for groceries in Spain than you will in the UK, as reported by Numbeo, the expat’s website. When you visit a restaurant, the food and drinks are 25 per cent cheaper, and the rents are 28 per cent cheaper. Another good thing about Spain, according to prices submitted by expats, is that the groceries are 35 per cent less expensive than in France and 25 per cent cheaper than in Italy. So if you want to live on a budget, you’ll soon learn how the locals are saving money. The minimum wage in Spain is approximately €10,303 per year. Compared to the UK minimum wage of roughly £16,000 annually, Spain’s is approximately £9,300. So it will cost you almost half to live in Spain as it does to live in the UK. You not only get the sun but a valuable asset. No wonder your dad is happy! The property prices in Spain stabilised in 2015, but that was after the crash of 2008 where they dropped to 12 per cent every year to as low as three per cent every year. We saw a rise in 2016, with capital growth at approximately 4 per cent in 2017-18. This would constitute the national picture. However, on the coasts and favourite locations among the British, prices are increasing, and they started earlier. Even so, they are still sustainable and lessons of the financial crisis were learned to some extent. So you want to buy, but you need more cash? The life you dream about in the Spanish sunshine is more attainable than you may think. Several established agents are located in the south of Tenerife who can help advise you on the entire process and make it happen. Of course, there’s another option; you can enjoy the lower Spanish living costs while taking advantage of the higher UK wages by commuting to the UK for a few work days per week. Why does this make sense? You get the lifestyle that many can only dream about and the security of a good wage. Of course, you can always be creative with your lifestyle. You can escape the British winters by staying in a home in Spain and then you can rent out the property during the Spanish summer months. There are many platforms where you can advertise your property or you could contact an agent who can manage your rental property for you. Did you know that if you buy a home in Spain and become a Spanish resident, you and your immediate family could qualify for your EU right to subsidised healthcare and pensions? You can see that Spain is expensive from the summer to the Easter holidays to October half term when you look at the information found on a holiday lettings website. However, you could buy an apartment for a very reasonable price that would cost a premium to rent during the summer months thereby saving yourself a lot of money. In this way, you can get an endless summer holiday along with an asset rising in value. So yes, go for that slice of cake! 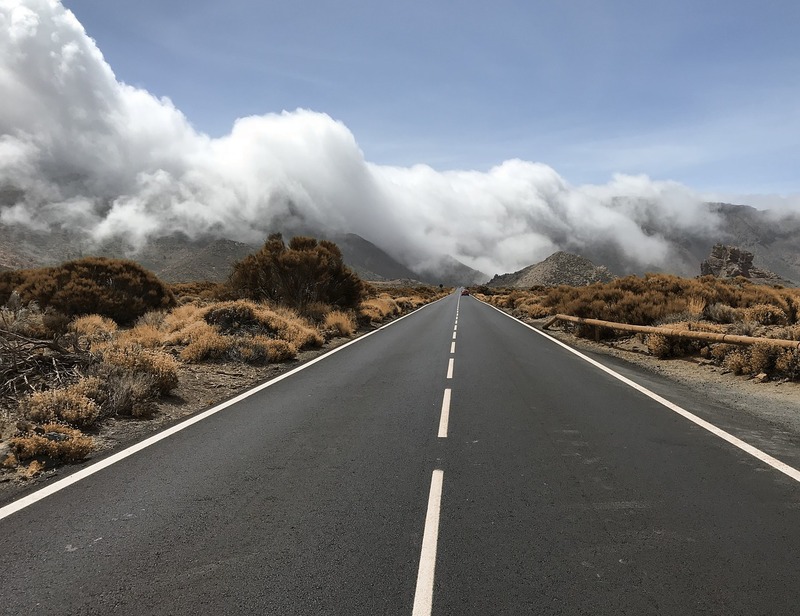 Tenerife, the largest of all the islands, if far more than that and in the rest of this article, I hope to give you a glimpse of what awaits you outside the concrete of the resorts and what makes the island such an incredible contrast and caters for all tastes. There’s no shortage of locations and things to keep you entertained on this magnificent island so without further ado, here are some of the things we like the most while on the island. Finding places to stay are not that hard and with the advent of companies like Airbnb, there are some great choices of inexpensive accommodation for short term visitors. You don’t have to stay in the main resorts and you’ll find that it tends to be much cheaper when staying outside the resorts. You can opt to stay in a modern apartment with everything included, or you can get a taste of the real culture by staying in one of the rustic rural fincas dotted around the island. The views and landscape in some of these places are enough to send you to Never-never land on a journey of wistful delight. Besides the accommodation, there are many things you can do. You can do the usual things that the average tourist does, or you can go off the beaten track and lose yourself in the adventure on new discoveries. There are some excellent tours and excursions available so you might even want to mix it up and do a little of both. Boat trips are available to see the local marine wildlife while experiencing the stunning views of the island from the ocean. We all love a good sunset or sunrise, and witnessing them on the highest peak in Spain makes it all the more incredible. You can even do a bit of stargazing too while you’re up there and see the universe in all its splendour. Sure, choosing between seeing the sunrise and sunset is difficult, both being as beautiful as the other, but you get to see both on some excursions with the stargazing in between which is the perfect all round experience for many people. Some of the excursions provide everything you need, even the telescopes to see the planets in all their glory in the clear skies above the clouds which transport you to another world. It’s very common to hear of people proposing to their partners while in these beautiful surroundings that make it so memorable. It must be that feeling of being above the clouds, supernatural maybe, even heavenly. Make sure you take your camera with you because it really is an incredible experience and one that you need to have photos of and talk about for years after. 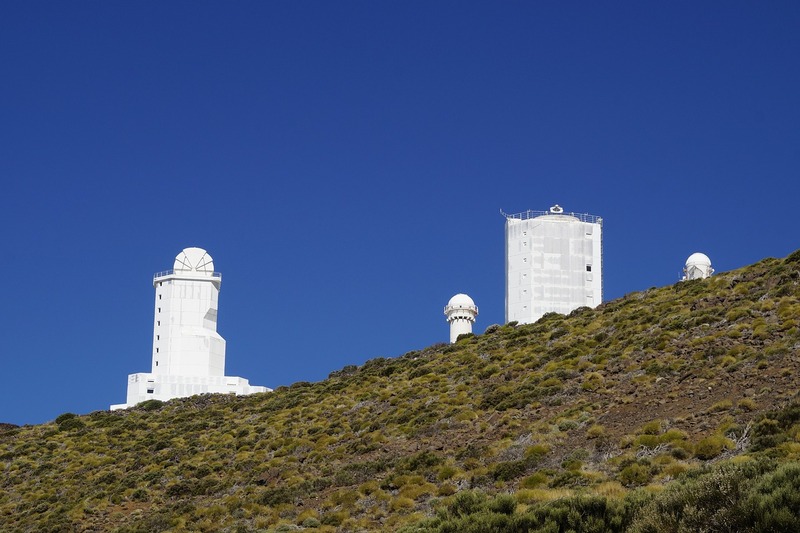 A popular thing to do is to visit the Observatory which can be done through the official authorities at Volcano Teide. A daytime visit is good which will allow you to see how the place operates and you can still be treated to stunning views of the ocean below and even get to use a telescope to see as far as the sun’s surface. It will bring out the astronomer in you and make you realise that there must be more than us in this universe. There is no shortage of hiking adventures, and you don’t have to book a tour either. From short hikes to day long ones, the entire island is a treasure trove and the landscape takes you on a whirlwind trail of contrasts. There are so many random paths in the region that regular visitors constantly discover places they’ve never seen before on their hikes which makes it such a fantastic adventure. Many people opt to do the hikes in prearranged groups so not only is it a great way to see the island, it’s also a social event that results in new friendships. Some prefer to hire a car and see the island at a more relaxed tempo while stopping off at several eateries for refreshments and local delicacies. Driving does have its good points and as well as being able to see more places in a shorter space of time, you also get to see awe inspiring views from the roadside like in the image below. What would an article like this be without mentioning the beaches? From black volcanic sand to golden yellow, the variety is many and the facilities are very good. The beaches are very clean and well maintained with adequate safety measures for everyone including well trained lifeguards and access on many of them for disabled people. Try doing a bit of exploring around the island because there are so many beaches not frequented by tourists and so many hidden coves just waiting to be discovered. Although Masca has become quite popular over the years, it’s definitely worth a visit. The views and scenery are breath-taking with its steep roads and unique landscape. A trip to the island of Tenerife can be a truly unforgettable one and I can honestly say it is a unique experience not to be missed. If you like travel, this island is a must see and should be on your bucket list. For more information why not visit Tenerife Forum or join our popular Community to get the very best insight. Peter Sarkis Tenerife? Yes & No! Back when people used discussion boards before Facebook put them on the endangered species list, there were a few platforms focused on the topic of Tenerife which I was a member of. They resembled colonial outposts where the usual suspects congregated to look down on others with a certain air of superiority, especially on those of a foreign flavour. Needless to say, things didn’t go my way and I was removed from them eventually and about that time, Facebook had become the platform that many used to connect with other like minded people so I decided to put everything into creating this page as a core where other things would sprout from. You may have read things about me online, some very entertaining, some even hilarious. The truth is, I’m not any of the things these people say I am, neither have I ever met them because they populate a different circle to mine and to be brutally honest, their delusion is only matched by their clumsiness so I can only have pity for them. Who & What’s Behind Tenerife Forum? A guy called Peter Sarkis and a dedicated team who support the pages we’ve set up. There is no magic button to press to reach where we have today. It requires a lot of perseverance, dedication, attention to detail, and hard work to build such a popular page which has now become the platform of choice for so many visitors and residents of Tenerife. Why People Follow Tenerife Forum & Peter Sarkis. From the very beginning, it was never about money, simply providing people an avenue to keep in touch with the island and sharing quality information, images, and videos to put a smile on faces and brighten their days. In short, it’s about adding value. Where To Next For Peter Sarkis? As mentioned before, it started off as building a core page and due to its popularity, other projects will spring from it. Our Tenerife Forum Community has grown rapidly and offers a fantastic platform for polite and safe discussions on Tenerife related topics and getting answers to so many questions people have when either visiting or living on the island. As well as offering popular excursions and advertising packages for local businesses and services, we have some interesting developments in the pipeline that are sure to follow this page down popularity road and become successful in their own way. Any Message To Followers & Members? Our followers and members are the reason why we continue doing what we do and many times, the messages we’ve received have served as fuel to continue our efforts. Thanks to all of you who continue to support our pages. It’s really appreciated and we hope that the pages continue to bring smiles and hope to everyone. Many would be forgiven for perceiving Tenerife as a Spanish package holiday favourite, but on a recent trip to this diverse destination I realised it offered so much more. Tenerife is in fact very hip, stylish and boutique. In recent years a new island has emerged, and it’s plain to see that the landscape, sights and attractions certainly entice you to take a second look. For example I bet many people don’t know that one of Tenerife’s most rugged landscapes, Teide National Park, was used as the centre for Tour de France hero and four times Olympic gold medal winner, Bradley Wiggins, as part of his training programme and Tour de France preparations. Other distinguished sporting legends have also chosen Tenerife as a training destination, including cyclist Lance Armstrong, rower Paul Goodison, and top beach volleyball players in Spain, Herrera and Gavira. In actual fact, Tenerife is much closer to Africa than Spain at less than 200 miles away, and is amongst only a few destinations within a 4 hour flight of the UK that can guarantee year-round sunshine (300 days of it), perfect if you’re a sun worshipper like me! Plenty of Tenerife excursions are available on the island. There’s also plenty of 4 and 5 star accommodation to choose from, which provide the perfect base to discover the fabulous food, great wines, mesmerising history, and captivating culture of an idyllic island escape. We stayed in Costa Adeje which is only a 20 minute drive from the island’s South airport, a definite recommendation as it’s very convenient and there is plenty to do for everyone. Away from the tourist hot spots there are also lots of remote beaches spread across the island, so a tip is to ask a local to point you in the right direction. Venturing away from the beach you are greeted with stunning landscapes, tiny villages and historic towns reflecting traditional Canarian life that has changed little over the years. I would certainly recommend hiring a car to make the most of the island. About a 45 minute drive from Tenerife South airport is Santa Cruz, the largest city and capital of Tenerife. Stroll down the “ramblas” for shopping with cosmopolitan character, then head west to La Laguna which houses a beautiful UNESCO World Heritage Site at its historical centre. Here you’ll find the most wonderful examples of Canarian mansion houses lined along cobbled streets, with art galleries to potter around in, as well as designer boutiques for intrepid deal hunters. To enjoy some picturesque countryside, venture north-west to the region known as “Isla Baja”, also an ideal destination for outdoor activities. Its towns still preserve all their traditional flavour, and the richness of the local scenery and architecture is remarkable. If you’re looking for something a little livelier, Puerto de la Cruz located in the North of Tenerife, has a great range of hotels and is a lively, cosmopolitan town, ideal for strolling around and shopping. 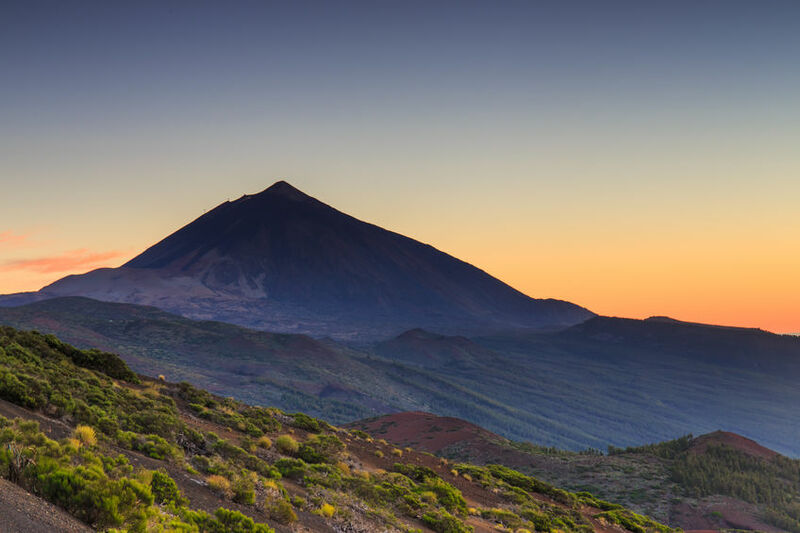 If you’re feeling adventurous try the cable car ride scaling Mount Teide, surrounded by a moonscape of rock formations and intense volcanic colours. Brave souls (not me!) can ascend on foot for a 4-6 hour walk, but there are less taxing trails that reveal a rich legacy of history and natural beauty, from meandering along ancient watercourses, treading woodland paths, or strolling amidst spectacular vistas. When it’s time to eat be sure to try traditional Canarian cuisine, particularly the deliciously fresh grilled fish. The vast coastline surrounding the island is home to rich marine life, which makes a regular appearance on traditional restaurant menus. And if you’re looking for Michelin star you’ll find one in Tenerife at the “MB” restaurant in the world-renowned luxury Abama Golf & Spa resort. In fact, fine dining has really taken off in recent years, with several renowned Spanish chefs showcasing their culinary talents to locals and travellers alike. For golf enthusiasts the island offers eight superb courses, all very different and each with their own character. Located in Isla Baja, just by the Vincci Buenavista Golf & Spa hotel is Buenavista Golf course, a true golfer’s delight, but watch out for the waterfall and lake which require a steady hand! If, like me, you’d rather be amongst hot stones than 18 holes, many of the luxury hotel spas on the island offer volcanic themed treatments for the ultimate in relaxation and rejuvenation. Plus if you have little ones, did you know Tenerife is the island with the largest number of theme parks? From water parks, to zoos, to roller coasters, there is guaranteed fun in abundance with plenty of options to choose from to keep the kids entertained. It’s certainly safe to say if you explore a little further you will discover so much more to this enchanting island than first meets the eye! Christmas in Tenerife is also a very nice time to visit so be adventurous and try that time of year if you’re looking for something different. These are just some listings in local UK newspaper directories for Tenerife Forum to serve as a reference. Tenerife is one of those striking islands that are visited by countless visitors and tourists each year. But once you step beyond tourist attractions and resorts, you will find that the island is incredibly diverse. Here are 18 interesting facts about this island. How many of them do you know? Are you able to add anymore to this list? 1. Tenerife is the biggest out of all the Canary Islands. 2. The flag for Tenerife is the same one that is used by Scotland, as St Andrew happens to be a patron saint for this island. 3. 43% out of the entire population of the Canary Islands reside on this island. 4. The Canary bird happened to be named after these islands, and not the islands named after the bird. 5. Each year this island attracts more than 5 million tourists. 6. The longest of the beaches in Tenerife is El Medano which stretches over 2 kilometres. 7. In Spain and Tenerife, Tuesday the 13th is regarded as unlucky, unlike Friday the 13th as in various other countries across the globe. 8. Tenerife along with the other Canary Islands has different time zones when compared to the remainder of Spain and they use GMT. If you happen to be listening to the Spanish radio when on a holiday, it gives the time as half past 2, it will be an hour less when compared to the Canaries. 9. Most of the beaches in Tenerife are unnatural and are man-made beaches with the sand imported from elsewhere. The natural beaches have a characteristic type of black sand. 10. Tenerife has 2 international airports. The first is Reina Sofia airport based in the southern part of the island, which is nearby the well-known resorts of Los Cristianos and Playa de Las Americas, and the Los Rodeos airport which is in the north of the island closer to the tourist resort known as Puerto de la Cruz. 11. 2 of the largest attractions on the island are Mount Teide, where the top part is over 3,000 metres above-sea-level, and Loro Parque in Puerto de la Cruz. 12. The Teide National Park in Tenerife is a UNESCO World Heritage site and happens to be the 2nd most visited national park in the whole world. 13. Due to its massive size, Mount Teide casts the biggest of sea shadows in the world. 14. The Thai themed Siam Park on the island is the largest water-park in the whole of Europe and provides a water slide that is considered to be one of the very highest worldwide. 15. Siam Park is currently the holder of 7 world records. This is inclusive of the biggest Thai building that falls outside of Asia, the biggest man-made wave across the globe which reaches around 3.3 meters, an increasing diversity in their slides and the TripAdvisor’s 2015 Traveller’s Choice Winner for the best out of the water parks in the world. 16. La Cueva del Viento (The Wind Cave) is the biggest volcanic tube in Europe and measures 18 kilometres in its length. It is considered one of the 10 longest lava tubes in the world and houses a variety of passages underground. 17. William Shakespeare mentioned Canarian wine in 2 different parts of his work. This includes The Merry Wives of Windsor and Henry IV. Each year he was given one barrel of the Tenerife Malmsey wine which formed a portion of the salary that he earned. 18. We were once told that originally there were 3 islands with the mountain ranges known as Anaga, Teno and Valle San Lorenzo. However, with the extensive volcanic activities, at some stage, all these areas merged together and this is what we know as Tenerife today. Interesting articles about Tenerife are available on Carmen’s Luxury Travel and if you want to go even deeper and get all the current information you need about the island, visit www.tenerifeforum.site and join one of the popular buzzing communities. The most famous landmark in Tenerife is Mount Teide, a dormant volcano that also happens to have been recognized as casting the third largest sea shadow in the world. You’ll be able to enjoy the breath-taking views of Mt. Teide from a distance, or for those with more courage, you could even spend your evening on the rocky hillside enjoying some of the most awe-inspiring views available of the island. 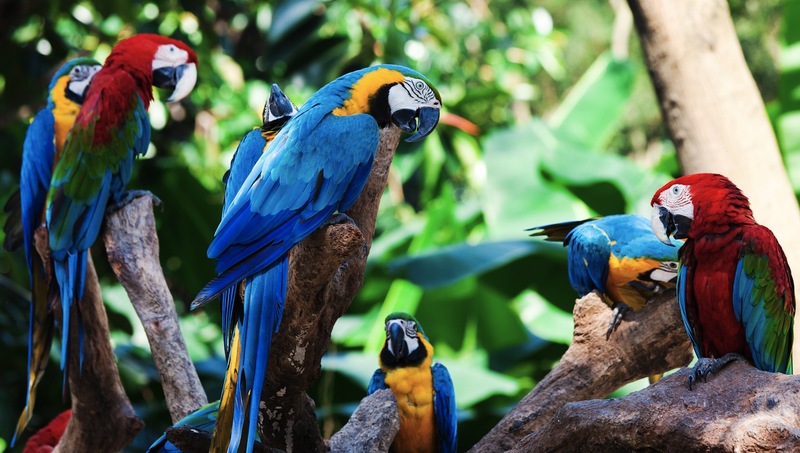 Loro Parque, originally founded as a sanctuary for parrots, has become one of Tenerife’s most beloved family trips. Parrot Park has over 3,000 of these colourful birds to see, and listen too. There’s never any shortage of conversation! Certainly not intended for the faint of heart, the secluded Masca Valley Bay is well worth the 2 hour trek that you’ll face after travelling a scenic route through the countryside. You’ll have the opportunity to explore the crystal clear water of this unsoiled paradise. As if this isn’t enough, there are also many other secret beaches on the island. 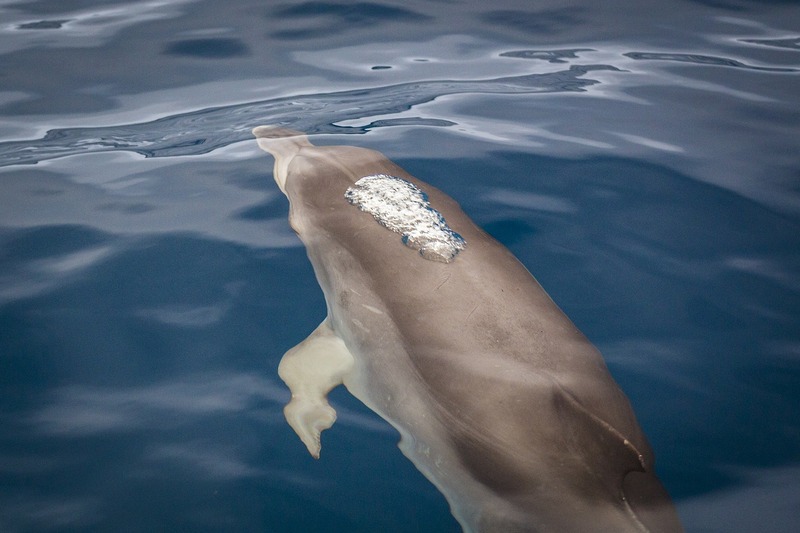 Tenerife has a reputation for providing some of the world’s best dolphin and whale spotting opportunities, particularly because of the large numbers of dolphins that call the Southern and Western coasts their home year round. The Canaries are known for their gorgeous turquoise seas with their abundance of marine life. For the bravest among us, there are many dive schools that you can take advantage of to explore the depths of the seas yourself. Amarilla Dive Center in Los Abrigos is recommended. 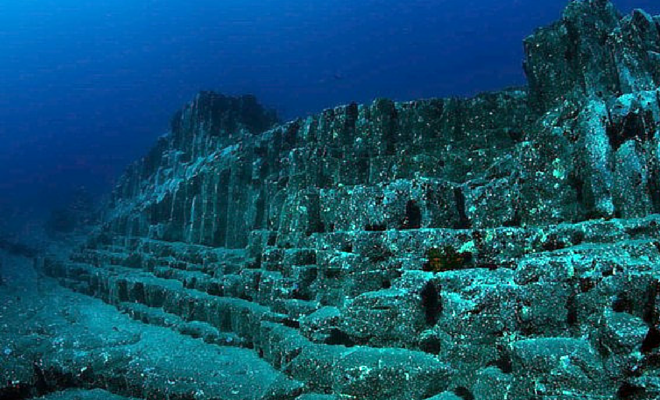 Watch this video of these interesting underwater structures. Although it is quite possible to spend all of your time experiencing all that this wonderful island has to offer, you’ll want to make the time to do some exploring off shore before you leave. 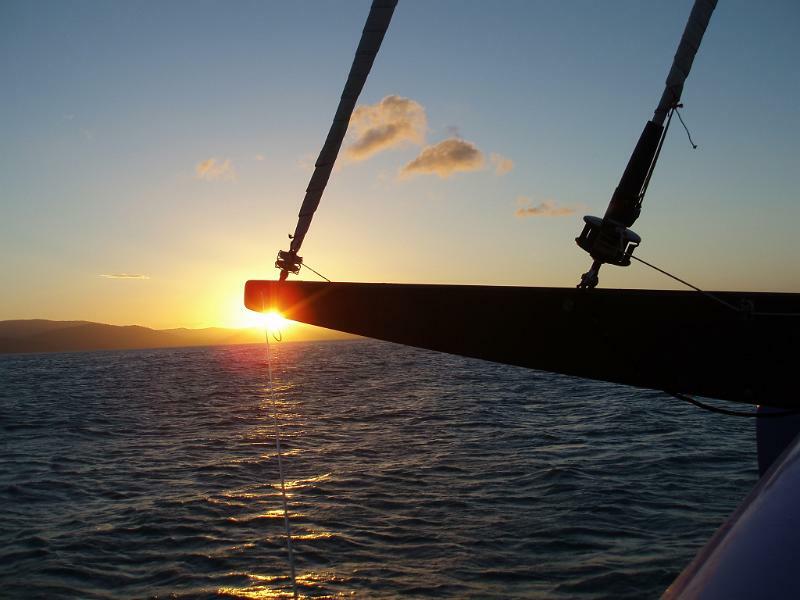 Hire your own sailing boat, or charter a catamaran, either one will take you to the most secluded coves and bays on La Gomera. Really, who wouldn’t wish to be kissed by the sunshine on a beautiful, sandy beach, while the waves crash against the shore? As you can see, there are innumerable reasons for you to cancel your visit to Tenerife this year. Most likely, you could add some of your own to this list. If you still insist on visiting the island, you could always try one of the many recommended Tenerife excursions or tours available. Do you know any interesting facts about the island? Rent accommodation with a small kitchen so you can make your own meals during your stay in Tenerife. The local mini markets near villas and apartment complexes are usually very expensive. You will get better prices on groceries if you go to Lidl. You will find Lidl located in Adeje, Chafiras and Puerto de la Cruz. You can usually find great deals on groceries at the different larger supermarkets. There is an Al Campo in La Laguna and another in La Orotava. There is also Carrefour in Santa Cruz or in Sanata Maria del Mar. Hiper Dino is a chain that has smaller locations everywhere on the island. The farmer’s market is a great way to shop for fresh food. Las Chafiras has a farmer’s market on Saturday and Sunday mornings and on Wednesday afternoons. If you are in the San Isidro area, you can shop at the farmer’s market on Saturday and Sunday mornings. If you don’t want to prepare your own meals, look for an all-inclusive package. This is a good way to visit Tenerife if you want to relax and don’t want to have to go shop for food or cook. Compare different all inclusive packages and look for one that includes meals and drinks at a reasonable price. Being on a budget doesn’t mean you can’t enjoy local restaurants. Tip: A lot of Spanish restaurants offer a menu of the day and this practice is becoming more common in Tenerife. Ordering from the menu of the day is a great way to get a delicious three-course meal at a low price! There are several pubs in Tenerife and each one has a different theme. You will find places with a British atmosphere while other pubs specialise in German beer. You can enjoy the incredible bar scene in Tenerife without having to spend a fortune. Most places have a happy hour that actually last for more than an hour. Visit different pubs or check their websites to find out when happy hour is and to get a better idea of the drinks you can get. A lot of resorts in the Los Cristianos and Las Americas areas have pubs that offer touts to get you in. You can usually get a free drink or a free shot if you spend a few euros in one of these bars. Find out about the best touts in advance and plan a fun night of bar hopping to take advantage of these offers! Try to local beer called Dorada. This is usually the cheapest drink you can get and you will find that authentic Canarian bars have the lowest prices on most drinks. These bars are usually located just outside of the large resorts and filled with locals. These bars are a great way to relax and enjoy a few drinks if you are looking for a quiet place and want to see what life in Tenerife is like. There is a lot to do in Tenerife without spending any money. A great way to enjoy the island without opening your wallet is to simply spend a day at the beach. Bring your towel and look for a quiet spot where you can relax, enjoy the view or play some games. Don’t forget to bring water with you and make sure you have a few euros for some ice cream or another treat. There are plenty of beaches on the Costa Adeje and on the southern coast of the island. These beache usually have different facilities but you can also find mor secluded beaches. The Playa de la Tejita is not far from the airport and is so large that you will easily find a spot even though this is a popular beach. You should also try the Playa Bollullo on the north coast. 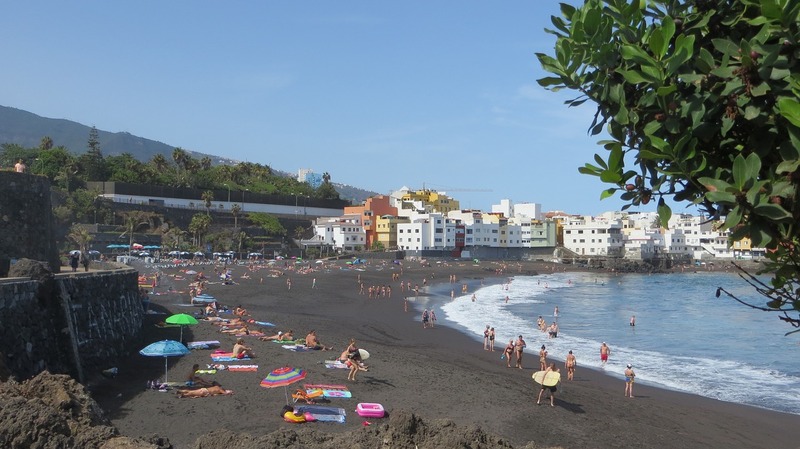 This beach is not far from Puerto de la Cruz and will surprise you with its black volcanic sand. The harbour of Garachico was filled with lava during a volcanic eruption that took place 300 years ago. There are now different salt water rock pools in the harbour and you can swim in them. Some of the pools are very shallow and safe for children. Some of the pools are a lot deeper and make for a unique diving experience. Visit the rock pools during low tide since this is when the sun warms the water up. Make sure you bring a snorkel so you can admire the sub-tropical fishes that live in these pools. 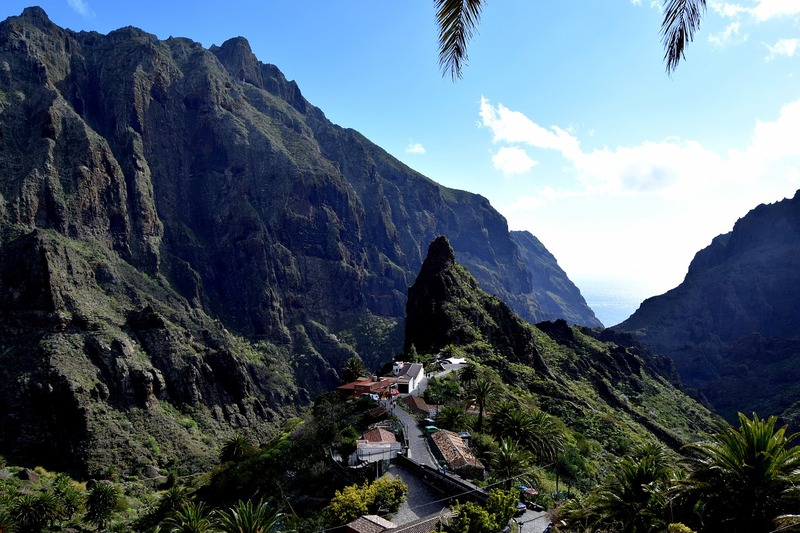 Masca is one of the top tourist attractions in Tenerife. 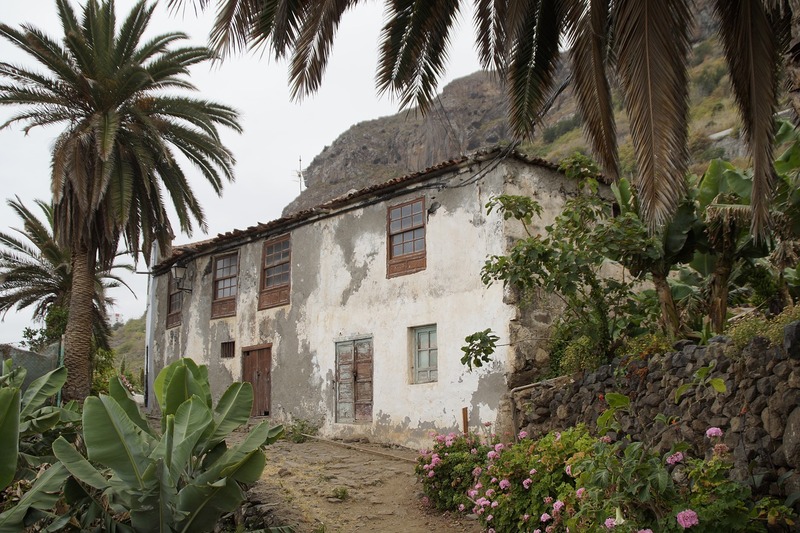 It is located in the Masca valley and is the prettiest village on the island. Driving on the narrow roads of the Masca valley is not ideal if you are not comfortable and you might want to look for a tour that will take you through this area. There are many gorgeous landscapes on the island. 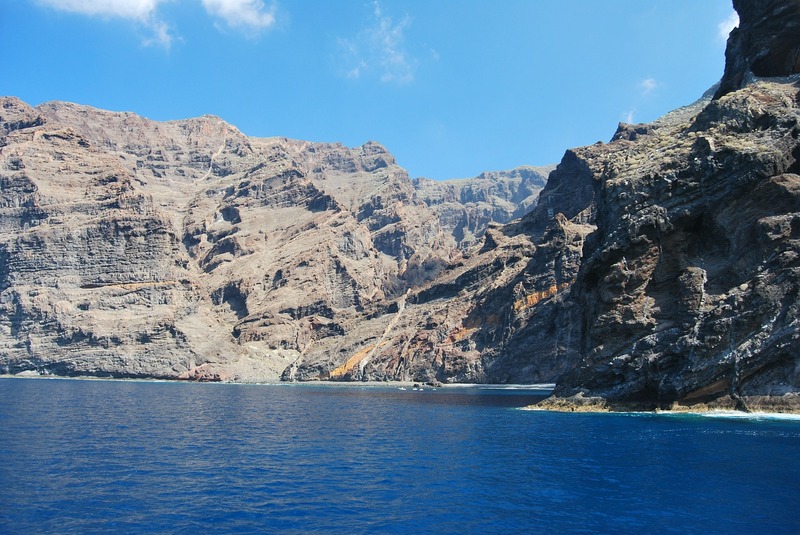 You can find humid and fertile valleys in the north of the island, dry valleys in the volcanic areas and some towering cliffs near Los Gigantes. Hiking is a great way to explore Tenerife. The Mount Teide National Park is a great place for hiking. There is a small fee to pay to take the cable car to get to the top of the volcano but this is a very affordable activity. There are many coastal paths where you can hike or you can walk through the gorge of the Hells Raving for a small entrance fee. Hiking requires preparation. You need to invest in some quality equipment and know where you are going. The climate can be harsh. The nights are freezing and you can expect the same cold temperatures at high altitudes while the temperature can reach 40°C during the days. You might need a guide with you for some hikes. Get more information from Tenerife Forum and Like us on Facebook to receive daily updates. Wondering what the best beaches are in Tenerife? You are not the only one. Many people ask this question regularly. The ones who answer usually answer with which beach is their favourite, not which one is best. If you want to be pointed in the direction of a suitable beach know what your preferences are. Some people love going to resort beaches where they have access to bars and restaurants. Other people are looking for a more remote locale, and still others want to enjoy something in between. With these things in mind, here are our best offerings when it comes to the best Tenerife beaches for people of all tastes. Playa Pinta at Puerto Colon is the best for families. This 180-m long beach is in the heart of Costa Adeje. Almost completely closed in by breakwaters, it is ideal for young children because the waters are so calm. A nearby water park makes for extra fun for everyone in the family. The beach is also close to budget friendly restaurants. Playa Fañabe in Costa Adeje offers 600 m of fun via banana boats, parascending and pedalos. There are also plenty of bars to keep you from getting too hot and thirsty. Enjoy crazy golf or relax on a Balinese bed. If having action on the beach is your thing, this is the beach for you. El Médano is the beach to go when you want extreme water-sport fun. Enjoy kiteboarding and windsurfing along with longboard surfing. The wind is pretty much permanent which guarantees all the action you need for your water sports. This attractive beach is also less frequented by tourists so you can take up as much room as you like when paddling out. For remote seclusion and the exotic beauty of black sands, hit El Bollullo on the La Orotava coast. 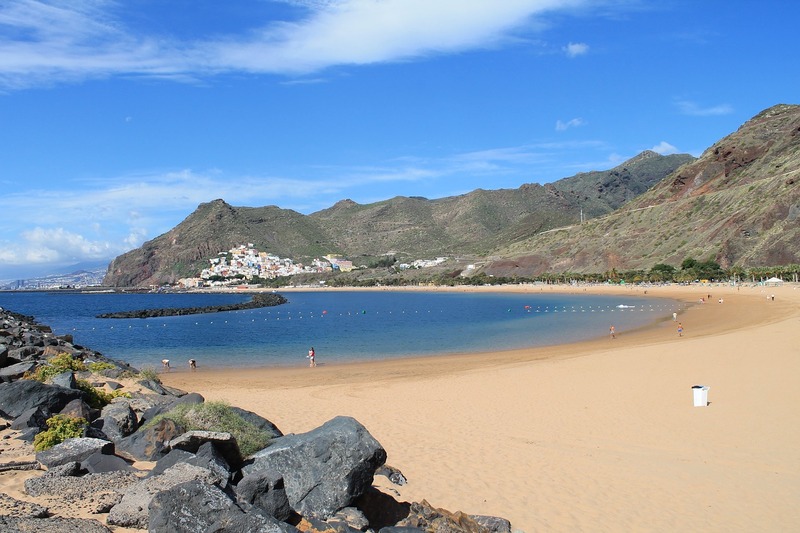 This beach is also near Puerto de la Cruz which offers some good sightseeing for anyone who feels like taking a jaunt. Stroll along these long, quiet beaches which do have a wild side and some bars. You will not be completely cut off from civilization but you will truly feel like you have gotten away from it all. The golden Playa de las Teresitas just outside of Santa Cruz is among the most stunning beaches to see on the island. It can be breezy, though. For a quieter beach, visit Teresitas which is a manmade reef. Swimming is gentle and easy here. Top resort beaches include Playa de las Vistas which is between Los Cristianos and Playa de las Américas. Playa del Duque is a lot more beautiful. The luxury hotels the line the beach are unique and all the restaurants and bars have a degree of sophistication. The beach is cut off from the southern resorts, so it adds to its appeal. There is a mock castle there to add to its vibe. Playa de la Tejita near El Médano is Tenerife’s most popular beach to get tan all over. Just spread out where you like along this kilometer-long beach. There is even a slightly more protected cove on the eastern end of this beach for more modest sunbathers. Take a look at Tenerife Forum for more information about the island. Among the seven islands that make up the Canary Islands, Tenerife is the biggest one. Its pleasant climate makes it an extremely popular holiday destination in Europe. Everyone will find something to do here and enjoy their vacation to the full. There are different types of landscapes in Tenerife, that’s what makes it an excellent choice for a vacation; the variety is unprecedented. It is a safe place to visit with family and also very affordable compared to the other destinations in Europe. Here are four reasons why this island is so popular with tourists worldwide. 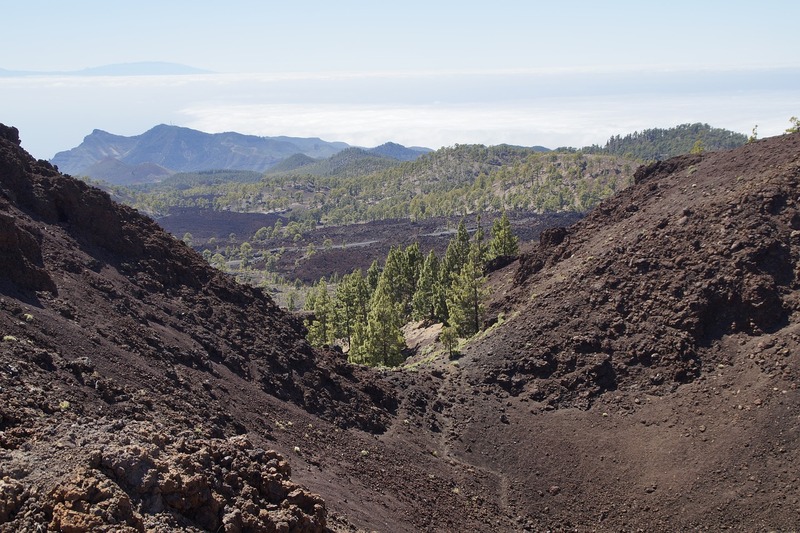 The volcanic area of Las Canadas del Teide National Park is the most visited place in Spain. You will love the spectacular vistas and scenery. You can climb the Teide volcano by cable car and enjoy the great view from the top. While climbing, you will see the moon like landscape as you ascend and have an incredible view of the island. You will find many easy-to-follow trails in Tenerife. 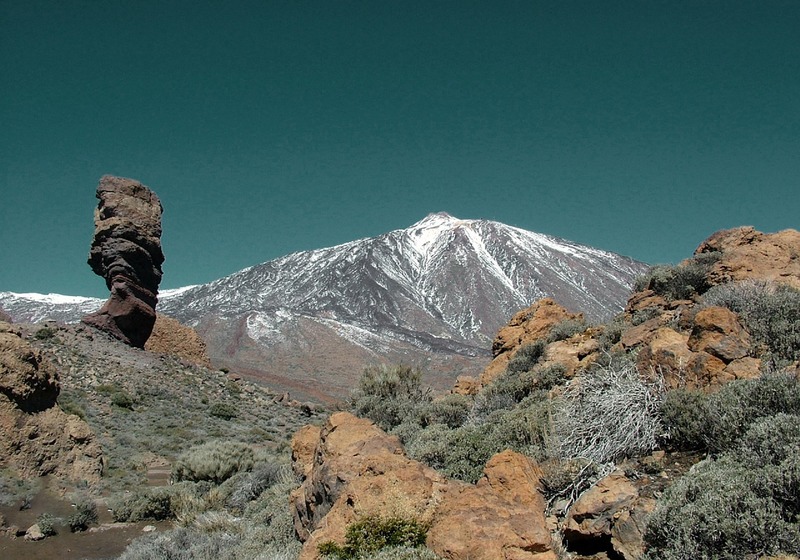 There are more than twenty trails that go through Teide National Park. You can also visit Teno Rural Park or an incredible mountain region called Anaga slightly north of the volcano. The beaches of Tenerife have different colours. Some are black volcanic sand like Playa Jardin. The artificial beach of Las Teresitas has golden sand from the Sahara Desert. In areas like Los Cristianos and Costa Adeje, the colour of the sand varies from grey to yellow. You can enjoy a variety of outdoor sports in Tenerife at any time of the year. The place is famous for water sports due to the availability of beaches with perfect conditions. You can enjoy snorkelling, scuba diving, parasailing, fishing, windsurfing, surfing, and so much more. The network of paths in Tenerife is very extensive. Hiking in Tenerife has become very popular and has earned recognition from the international bodies. There are hiking trails of different levels of difficulty dotted right across the island. Tenerife is also renowned for its professional golf courses which accommodate players of all levels throughout the year. The island is great for both a romantic vacation and a family holiday where all types of choices are available making sure that all tastes are catered for. Everyone will find something to enjoy. There are also lots of different types of accommodation to choose from. You will get hotels at various budget levels. The living cost is lower here compared to other places on mainland Europe. The food is delicious, fresh, and there are great selections of restaurants and cuisines to choose from when you’re on the island. There is always a fiesta or celebration going on which gets all the locals to participate and celebrate life in many ways. As a holiday destination, Tenerife is hard to beat and should be visited at least once in your lifetime. Sites like Tenerife Forum can offer in depth advice on things to do on the island and information about how to get the most out of your visit. You can also read more fascinating information from this list of our favourite Tenerife blogs.